What is push-fold poker? - Casino Answers! 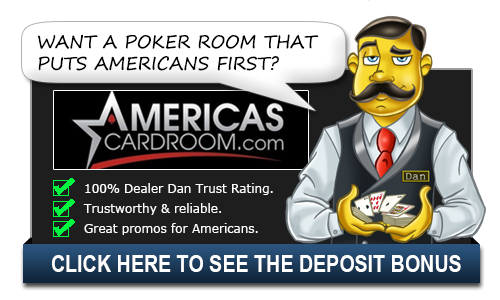 Casino Answers » Poker » Online Poker Beginner Q&A » What is push-fold poker? Push-fold poker is a common name for playing with a short stack. Any time you have under 15BB, you are in push-fold territory. This means that you should be either going all-in or folding. If you have a really strong hand, you can also make a standard raise (to 2 or 3 times the big blind) with no intention of folding. There are two common mistakes that players used to playing with deep stacks make when they are playing with a short stack. The first mistake is limping. It is rarely correct to just call with under 15BB. Calling and then folding to a raise is a common, but very costly, mistake. The exception would be limping with a very strong hand, like aces, when there are aggressive players left to act and your stack is very short (under five big blinds). In this case, you encourage people to play the hand with you, and it’s very easy to get all of your chips in when another player flops a pair. The second mistake is raising and folding to a re-raise. If you do raise, folding costs you a significant portion of your stack, and since you’re getting good pot odds to call a re-raise, you will be correct to call with even weak hands. By raising with weak hands, you put yourself in this unprofitable situation where you’re forced to call, but you don’t like it. That leaves just two real options when you get deep into the poker tournament: you can either push or you can fold. While the odds of winning every time you go all-in aren’t great, this is your best option for improving your stack and continuing on in the tournament. Calling and trying to catch will get you nowhere and you’ll soon be out of the tournament with nothing to show for it. When you get to push-fold territory at least you know that you control your own destiny. Folding is a hard thing to do when you get deep in a tournament with a short stack, but it is often the best thing for you to do. If you are not in the blinds, you are not losing any money. If you are not calling, you are not running into a bigger bet that will force you into a decision that you may not have wanted to make. Folding sets you free of all that and saves your meager chips until the time when you will really need them. Folding can save you far more than calling and chasing ever will, but it’s a part of the toolbox that some players don’t like using. Push-fold poker is a different game than deep stack poker. Math dictates your decisions, and reads aren’t very useful. You will reach push-fold territory in every tournament that you play If you do decide to play in tournaments, invest in some software like SNG Wizard, which will drill you on short-stack decisions and teach you to make strong decisions.